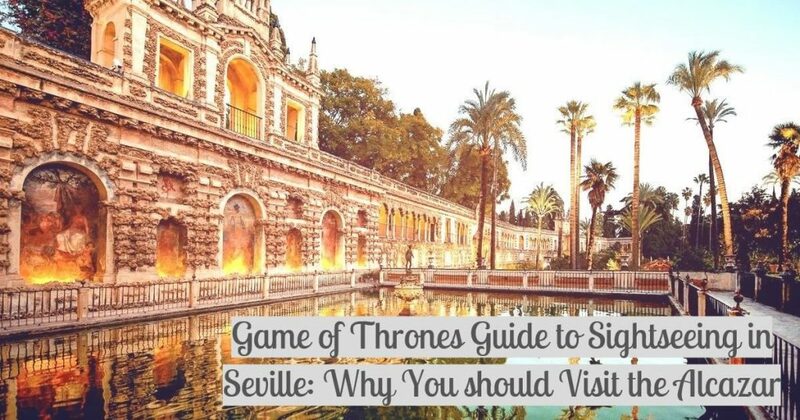 Game of Thrones Guide: Sightseeing, Locations and Tour in Seville! 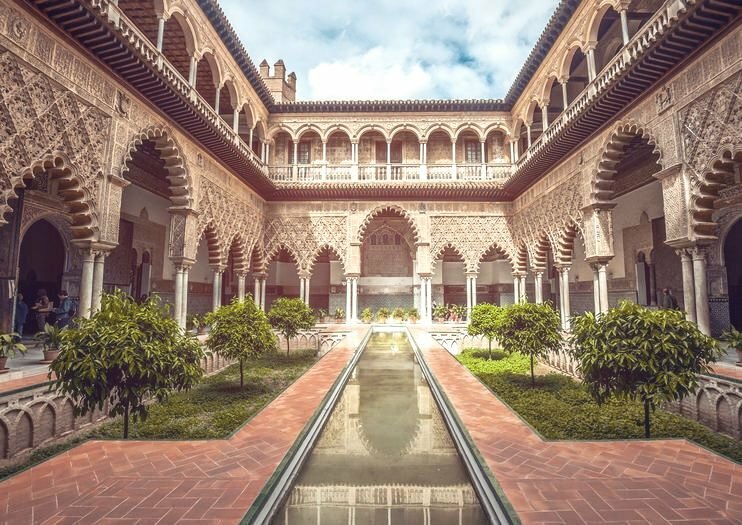 Whether you want to visit the Alcazar specifically because you’re interested in a Game of Thrones guide to sightseeing, or instead you’re interested in a tour to understand the palace’s incredible history, this is a must-see when visiting Seville! 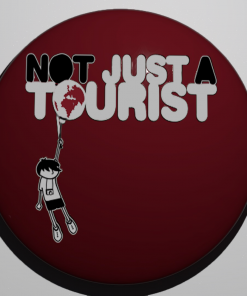 Here’s a rundown of what you can come to expect from one of Seville’s top tourist attractions. The Alcazar is a palace which dates back to 913, and it is considered to be one of the most impressive examples of Mudéjar art– blending of European and Moorish styles, to still exist. Throughout the 12th century, structures were made to reflect the Islamic art at the time and this led to beautiful arches, geometric patterns and calligraphy. They’re honestly hard to take a bad photo of! Originally a palace for the Umayyad government, the palace expanded massively all the way to the Guadalquivir river by the 12th century. Then, in 1248-9 it was conquered by the Castilians who gave it the role of Royal Residence- a role it still holds today! This royal influence changed the palace continuously, with changes made to the interiors to match the fashions of the time, for example, the Courtyard of the Maidens was changed to match a Renaissance style. However, some restorations are said to have robbed the rooms of their original appeal, such as the 19th-century restoration of the Courtyard of the Dolls. Yet, every room is mesmerising in its own way- there are many rooms where the walls are covered inch by inch by beautiful tiling and designs. So much so, that I took over 90 photos of the interior of the palace and felt I had barely scratched the surface! The palace gardens are a charming and vast mix of fountains, galleries, arches and pavilions which has constantly been changing since the Renaissance era. There’s multiple viewing points which really demonstrate the breadth of the gardens and the number of palm trees! The gardens are worthy of a day-trip within themselves, so make sure to schedule enough time to have a wander around them after viewing the palace itself. 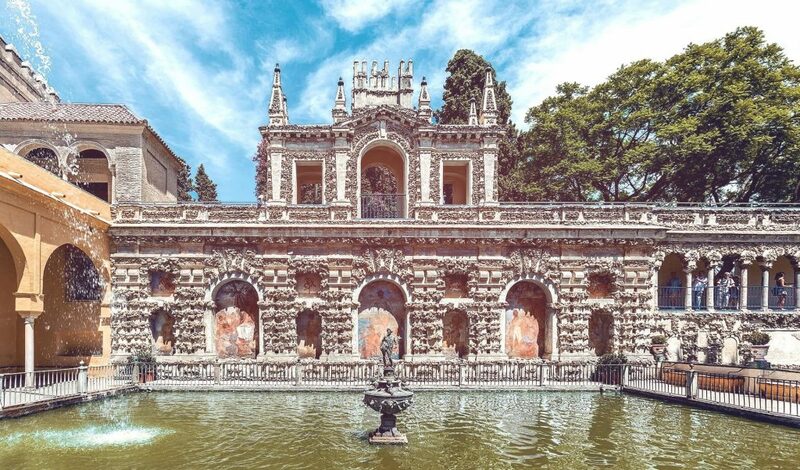 This beautiful collection of architectural masterpieces is an essential part of a visit to Seville, with cultural and historical significance which remains incredibly relevant today. Perhaps pair this visit with a trip to Seville’s Cathedral, as this shared influence will really enhance your historical understanding of Seville. Plus, it’s virtually next door! Make sure to buy your tickets in advance to avoid hefty queues, and be prepared for the many, many, photo opportunities you will encounter here.  Georgia Carly is a digital marketing intern and writer from Cheshire, England. 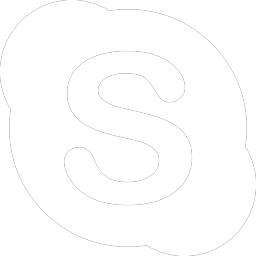 Read more about her life by visiting her personal blog. 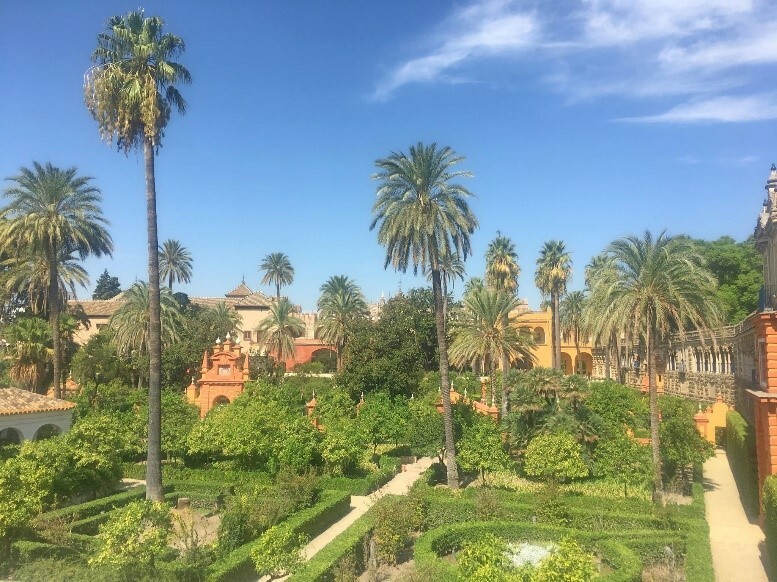 This entry was posted in Seville & Andalusia, Things to Do and tagged alcazar, andalucia, andalusia, game of thrones, gardens, GoT, palace, sevilla, seville, sightseeing, skip the line ticket, spain, tour.